It's Halloween today and we're celebrating by giving you a free spooky Halloween virtual golf ball when you log in and play WGT – today only. 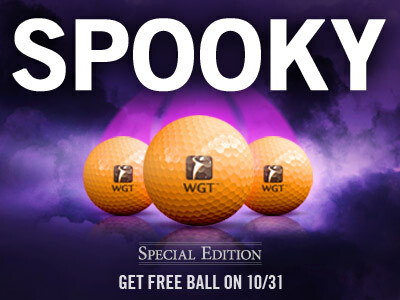 Just log in and play WGT today, 10/31 and you'll get a free Halloween Vapor Ball, featuring a spooky purple vapor trail, plus scary distance and spin! *Special offer available to WGT players that log in on 10/31/16, receive one free WGT Halloween Vapor Ball (L0+). Level up faster with 50% more XP today and tomorrow, when you play WGT! Halloween is just a few days away, so take advantage of this frighteningly good offer to get 3 free Nike virtual golf balls when you buy 2,000 or more WGT Credits. 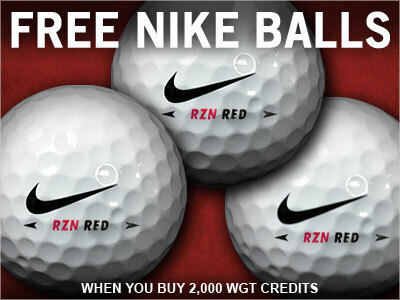 Through Fri, 10/28, you'll get 3 free Nike RZN Red balls when you buy 2,000 or more WGT Credits. These are some of our most popular, top-performing virtual golf balls on WGT, giving you more distance and a slower WGT swing meter to improve your shots all over the course. *Special offer for players who buy 2,000 or more WGT Credits today through tomorrow (10/27/16-10/28/16), receive 3 free Nike RZN Red virtual golf balls (L40+). ability to drop the ball anywhere on the green to practice different kinds of putts. 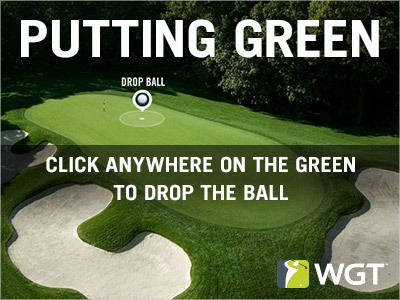 easily change the speed of the green and drop the ball in a new location with just a click of a button. Ball durability will not be depleted for putts hit on putting green. Nike Club Reduction - All Nike clubs (not balls) have been reduced by 5 levels for a limited time. Consecutive Day Bonuses - An improved display has been added so players know how much XP they will be getting over the upcoming days if they continue their consecutive day playing streak. Also, larger rewards will be given to players that hit high consecutive days played. Putt Preview - An issue with the red guide line disappearing on putt preview after switching putters has been fixed. Blitz Challenge - An issue has been fixed where the last player left in a Blitz Challenge game would not be awarded the win or the winning credits if one player times out or disconnects. How did the skeleton know he'd win CC Event #33? 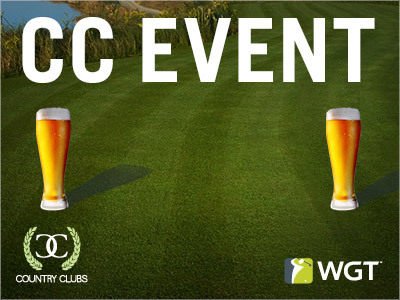 Round up your WGT Country Club and play in CC Event #33, going on NOW through Fri 10/21. 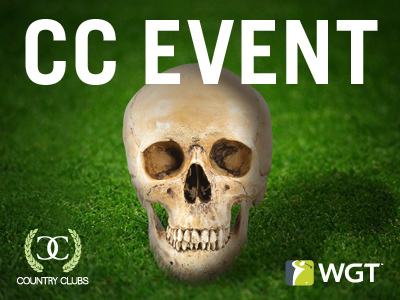 And since it's Halloween season, compete against other clubs in this week's CC Event for club pride and in-game rewards, like these spooky skull tee markers and flags – that you can use in your own country club tournaments this Halloween! 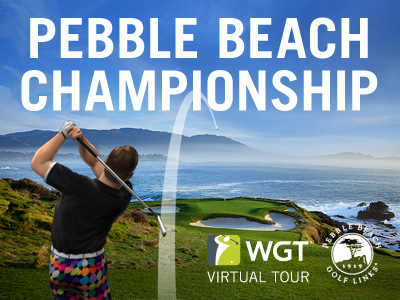 Congratulations to Champion tier fmagnets on winning the Pebble Beach Championship in September, the third Major tournament of the 2016 WGT Virtual Tour. With an impressive stroke play final score of 108, player fmagnets breaks the tie-breaker with poldimaier and Tarheelfan83 (both also finishing with 108) for the top spot on the Champion tier leaderboard. Congratulations to all the Major leaderboard winners! Compete in the first tournament of the Oct-Dec Quarterly Season to earn WGT Credits and put yourself on the Quarterly Season leaderboard. This stroke play tournament includes an unlimited play first round (10/1-10/26) and a single-play second round (10/27-10/31). The top 70 combined scores in each Pro-Champion tier will split a total purse of 100,000 WGT Credits. Plus, everyone that enters the tournament will receive a free "Best of WGT" virtual golf ball just for playing. We're celebrating Oktoberfest this weekend with pints of beer in CC Event #32, going on NOW through Sat, 10/8. The only thing better than beer and golf is a CC Event #32 victory! Compete against other country clubs for in-game rewards, club pride and these new beer tee markers and flags. CC Event #32 runs 10/7-10/8, with multiple 4-hour Clashes, so be sure to play as many games as you can for your club and keep your eyes on the leaderboard. 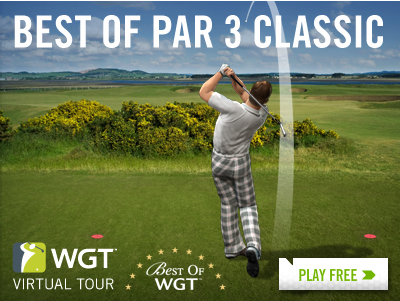 Fall is here and so is the Best of Par 3 Classic tournament in the 2016 WGT Virtual Tour! Compete in the first tournament of the Oct-Dec Quarterly Season to earn WGT Credits and move up the Quarterly Season leaderboard. This stroke play tournament includes an unlimited play first round (10/1-10/26) and a single-play second round (10/27-10/31). Plus, everyone that enters the tournament will receive a free "Best of WGT" virtual golf ball! 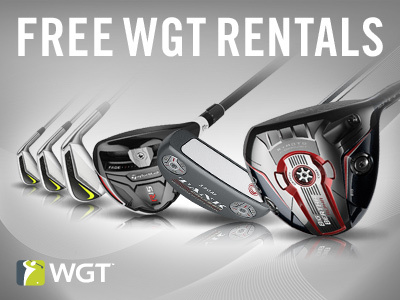 Get free virtual club rentals on WGT all weekend while you're following the action at Hazeltine! Log on and try all the latest virtual equipment on WGT, including the new Odyssey Sabertooth Putter, TaylorMade M2 Irons, popular MAX clubs and more – all free. This is your chance to try all the equipment you've had your eye on! To rent clubs, just find the club you want in the Pro Shop, click the RENT or TRY ME button and it's yours free for 24 hours. You can rent as many clubs as you want for free, Sat-Sun 10/1/16-10/2/16.